Are you in a lot of stress and pressure lately? Do you feel like you are about to burst due to anger and frustration? Stress has been a part of our everyday life. Whenever you find yourself stuck in a stressful situation, instead of bursting into a fit of anger, why don't you try to watch a funny video instead? Or simply think of a funny experience you've had. You will definitely feel better after a giggle or two. Most of us can attest to the truthfulness of the old saying which says "Laughter is the best medicine." Laughter is not only contagious but it has lots of healing benefits as well that are backed up with science. Read on and be amazed at the healing property of laughter and how your body reacts to it. Does your body change physiologically when you laugh?Yes, it does. Your blood pressure and pulse go up, your facial muscles are stretched and more oxygen are sent to the tissues since you breathe faster. Some even believe that laughter is a mild workout and has the same benefits of a regular workout.Several researches have been done to prove that laughter is your aid to a healthy living with the following benefits. A good laugh or two brings your mind and body to a perfect balance. It improves your physical aspect through its following benefits. It relaxes your body - A good laugh leaves your body relax for 45 minutes, relieving stress and tension. It increases immune cells and infection-fighting antibodies and decreases stress hormones, making you more resistant to illness. Laughter is the best medicine as it triggers the release of endorphin which is feel-good chemical that relieves pain and puts you on optimum health. It protects you from heart attack and other cardiovascular problems. It burns calories. A 15-20 minute of laughter can burn up to 40 calories. It lightens your heavy load and helps you live longer and happier. Laughter is the cheapest way of feeling good. Even if the laughter has already subsided, the feel-good mood still remains. Laughter eases your mind from stress and anxiety that everyday problems bring. It gives you a new sense of hope and perspective, no matter how grim the situation is. It helps you remove negative emotions such as anger, anxiousness or sadness. It enables you to pay more attention and accomplish more as it reduces your stress and increases your energy. Laughter gives you a positive perspective and helps you think more clearly and make better decisions. It helps you draw other people who have a positive effect on your mental health. No man is an island. We need other people to survive and live happily. If you want to keep your relationship fresh and exciting, inject humor and laughter. Laughter does not only help build strong and lasting relationship, but it also adds vitality, joy and resilience. Laughter is the best medicine and it also brings people closer. New crowd? Break the ice and create a positive impression by cracking a joke or two. Any kind of relationships will get closer and stronger because they shared good memories and laughter together. When faced with problems, you can easily surpass it if you pack with you a good sense of humor and positive attitude. No one wants to be with someone who's always frowning and grumpy. 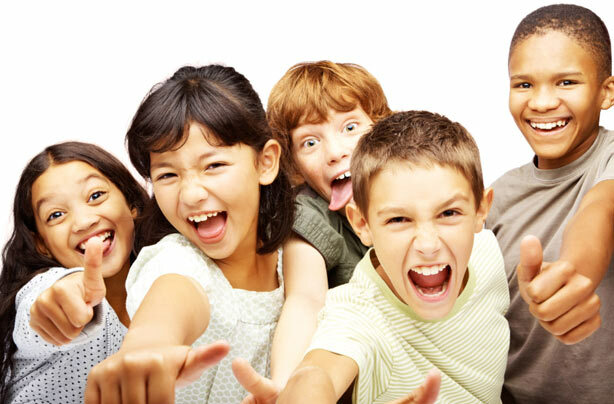 Create a healthy social life by gaining more friends with your contagious laughter. Laughter is a natural part of your life. It's an inborn skill that you don't need to learn. But as we grow older, things can become overwhelming. We are piled with stress and pressure that we forget how to laugh. We are turned into machines that are only focused on achieving things without appreciating the journey. It's time to change the course of your journey and create more color and happiness in your life. Turn things around with some laughter and positive perspective. Smile - Just like laughter, smiling is also contagious. Smile more often, even to strangers at the park. Smile every time you see something pleasant, or even unpleasant things such as heavy traffic. Count your blessings - Make a list of all the good things in your life. Shifting your perspective from the bad things to the positive things will instantly lift your mood. Whenever bad things happen, look at this list to be reminded of how blessed you are. Spend time with people who are fun - Surround yourself with people who like to have fun. Happiness is contagious and if you always hang out with happy people, you will become a happy person too. Bring humor into conversations – Beat boredom by injecting humor in your conversations. Crack a joke or two and share your funny experiences. Find humor – Always be on the lookout for funny things. You don’t need to wait for something funny to happen just to have a good laugh. Instead, initiate humor by watching comedy, reading a funny book or looking at funny pictures online. Practice laughter yoga – This type of yoga encourages a more positive outlook, helps reduce stress and keeps you energetic and refreshed. You can either join a class or do it alone. Don’t beat yourself up. Remember that life is funny and have a good laugh at yourself every time you make a mistake. What’s important is you learn from these mistakes. Hang out with little kids. They are naturally happy little creatures and will laugh at almost anything. Get a pet. And you can get the benefits of laughter easily. Life is short to spend it sulking and frowning. Whatever life brings us, face it with an eager and positive spirit. No darkness can withstand a good laugh. And remember laughter is the best medicine.